I love to eat. I love to cook. 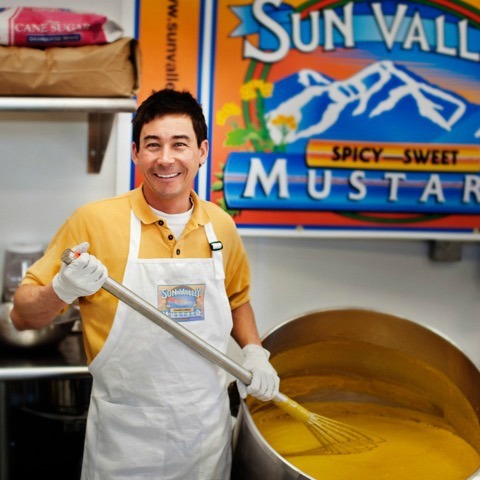 Sun Valley Mustard is a great product that makes cooking easier, more flavorful, healthier and fun. Good food balances great taste, nutritional value, and economy. There is a massive gap between farmers/producers and consumers that is clogged with people/entities who provide services that are disproportionate to the value they provide. Sales people/brokers, distributors and packaging companies add significant cost to the production, distribution, and sale of food products. I would like to find a way to more efficient, economical and environmentally friendly way to get products to consumers while preserving value for those who truly create it: farmers and producers. I like to cook everything. I love to learn about ingredients and cooking techniques. First and foremost, I would like to build a sustainable food production company incorporating the ideas and philosophies above. Next would be to share that knowledge and experience with other food producers so they can effectuate the change further.